Click once on any picture for an enlargement. 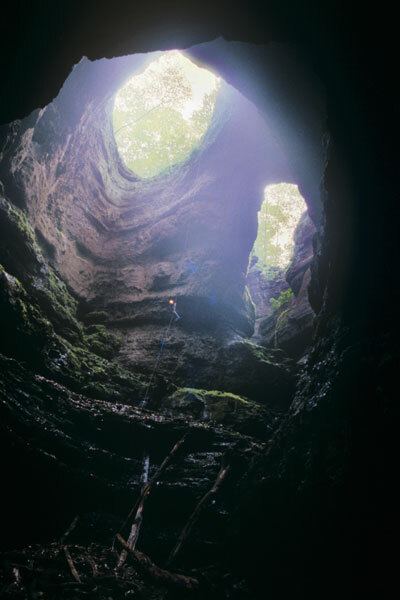 Caving is generally dirty and--like many things in life-- as dangerous as you make it. 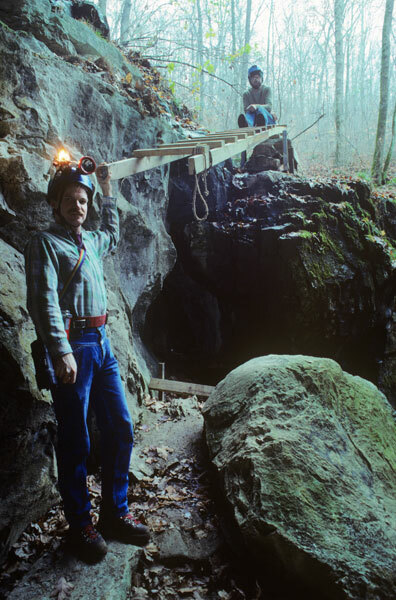 Done properly, cave exploration is about as risky than crossing the street. Either one can get you hurt if don't know the rules, but the difference is that most of us have been taught how to cross a street. 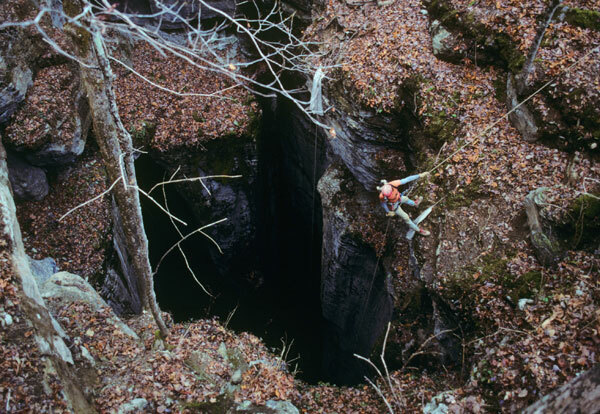 The dangers of caving aren't always obvious. If you're interested in caving, take a minute to read my "Getting Started" advice below, contact the NSS and ask if there is a club in your area, and most of all, take it slowly. There are amazing, fragile, and wonderful things to be discovered under the earth, so don't rush it--they'll be waiting when you get there. Copyright © 1996-2013 by Rodger Ling.